There’s nothing worse than a messy, unclean kitchen. A place where you are supposed to be liberated to explore your culinary skills and (of course) clean up after the mayhem you just created, the atmosphere in your kitchen should be free of unnecessary clutter. 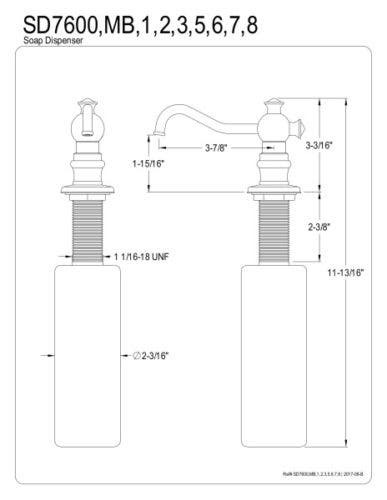 Are you all too familiar with that wet, soapy mess with dry crusted soap bottle base and sticky pump? The Kingston Brass Vintage Soap Dispenser seamlessly integrates into your kitchen décor, with a dual-purpose functionality serving as both a glamorous kitchen essential and ensuring your household maintains healthy sanitary habits. Everyone needs to wash their hands; why not do it in style? Offered in a variety of beautiful finishes, this soap dispenser is exceptionally accommodating to suit your home’s traditional aesthetic with its stylish and sophisticated flair. 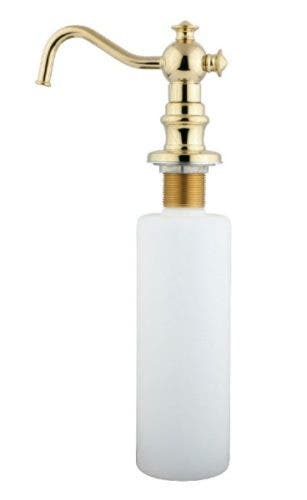 Its removable bottle is exceedingly simple to install and refill and gives you the control to what type of soap you want to use. 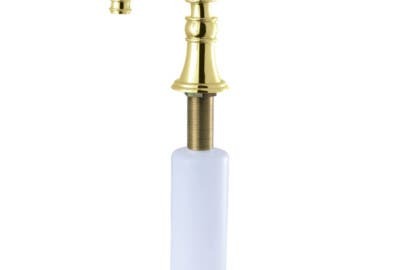 With its high-quality brass construction and heavy-duty pump, the Kingston Brass Vintage Soap Dispenser is guaranteed to bring organization, cleanliness, and healthier habits to your home for years to come. 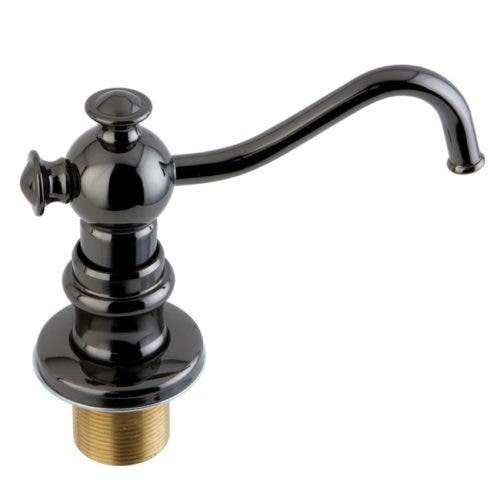 Available in Finishes: Polished Chrome, Oil Rubbed Bronze, Brushed Nickel, Vintage Brass, Satin Brass, Black Stainless Steel, Matte Black, Polished Nickel. 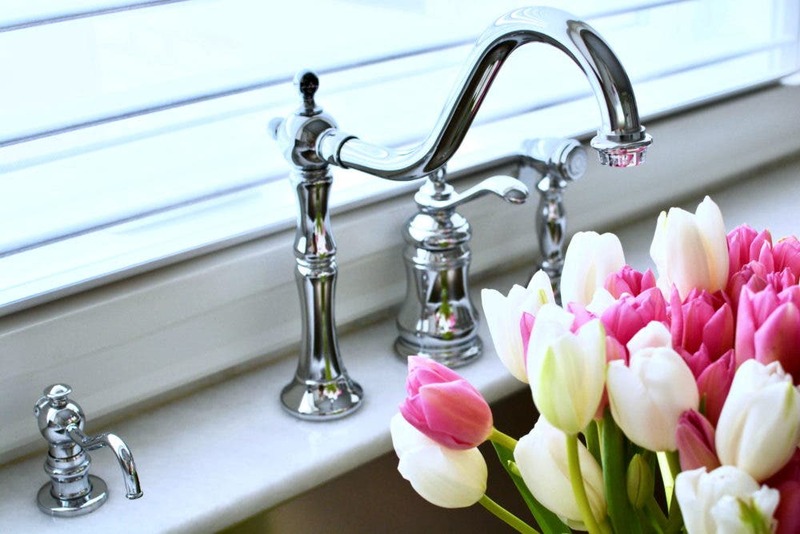 The Vintage Collection boasts a wide selection of kitchen and bath products ranging from complete faucet ensembles, hand showers, tub fillers, filtration faucets, and more. With its intricate detailing, refined splendor, and ornate designs, this collection evokes a glamorous essence throughout its antique designs inspired by early 20th-century class and affluence. 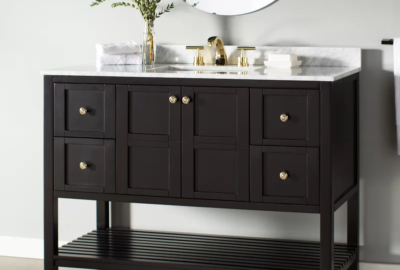 Offered in a variety of equally stunning and radiant corrosion resistant finishes, the Vintage Collection features the ideal kitchen and bath fixtures to suit your tastes for both high-quality products while delivering a look of true traditional elegance and sophistication to adorn your home for years.